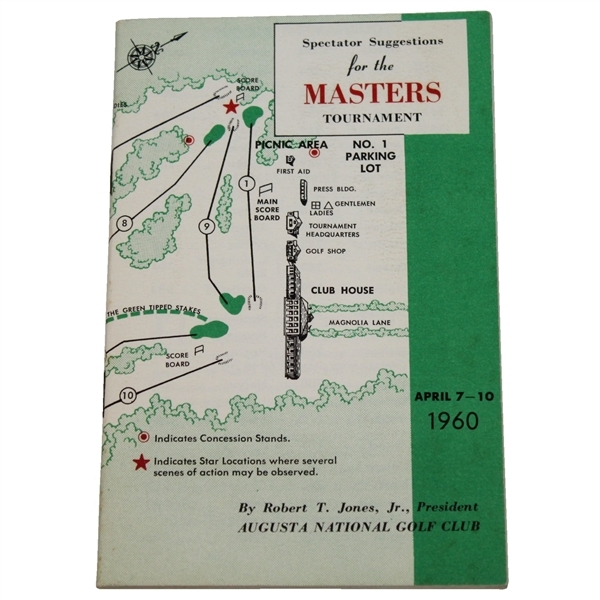 Top condition example (free from creases, rips or discolorations) this 1960 Masters Spectator guide was produced and distributed by the Augusta National to its patrons attending the event. Rap-around cover depicts each of the fabled holes of the Augusta National course. This cover still has vibrant red, green and white colors with strong corners all-around its four exterior edges. 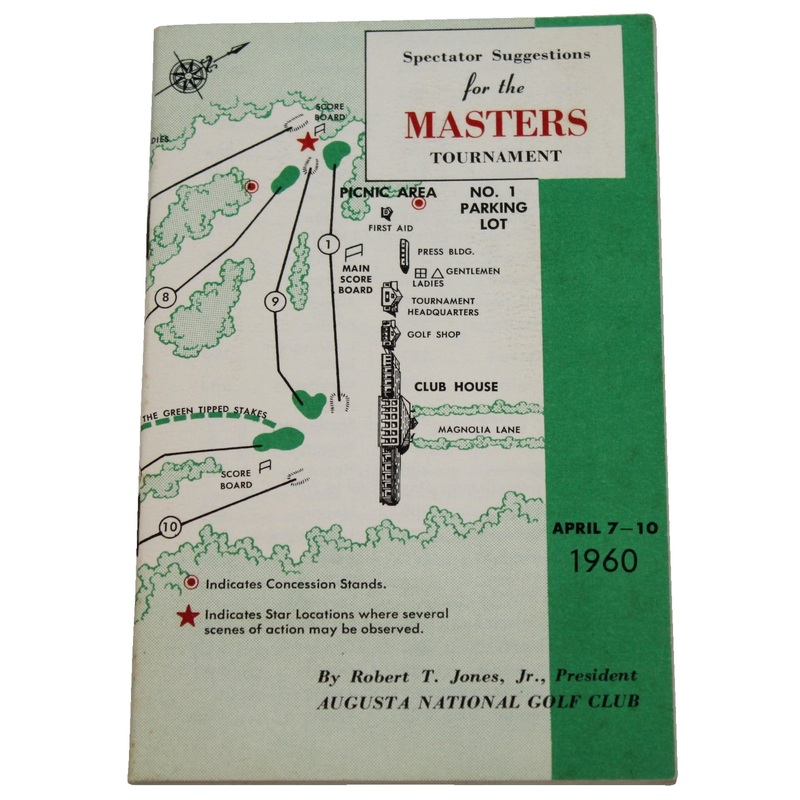 Arnold Palmer at the top of his game would win the Masters in 1960. In one of his finest career seasons, the King followed this win up with an impressive come-from-behind triumph in the U.S. Open. 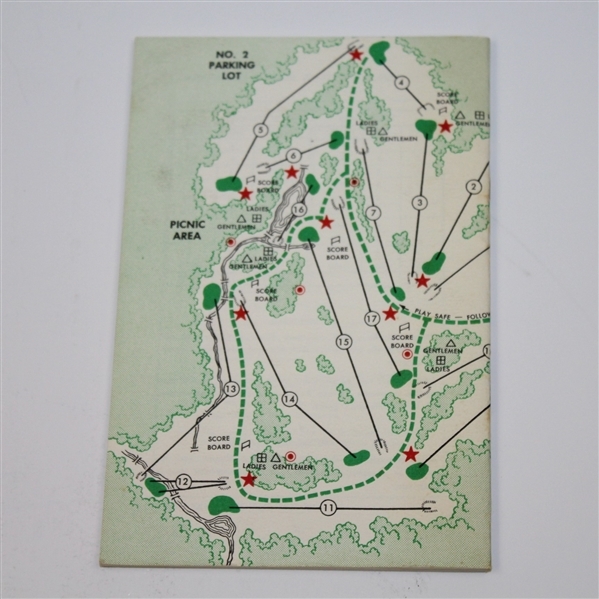 This is one of the keys of the highly collectible series of Masters Spectator Guides which the National began distributing to patrons post World War II.